Effectively draining water from a roof or plaza is a critical issue for every building. By using an elevated paver system, water is channeled away from the roof surface. These pavers also provide durability, protection, and performance for the roof system from harsh weather conditions. Roof Pavers allow easy access to the roof and waterproofing system for repairs or standard maintenance procedures. These pavers allow for ease of maintenance and access to the surfaces below. Pedestal pavers turn otherwise unusable available space into usable space. 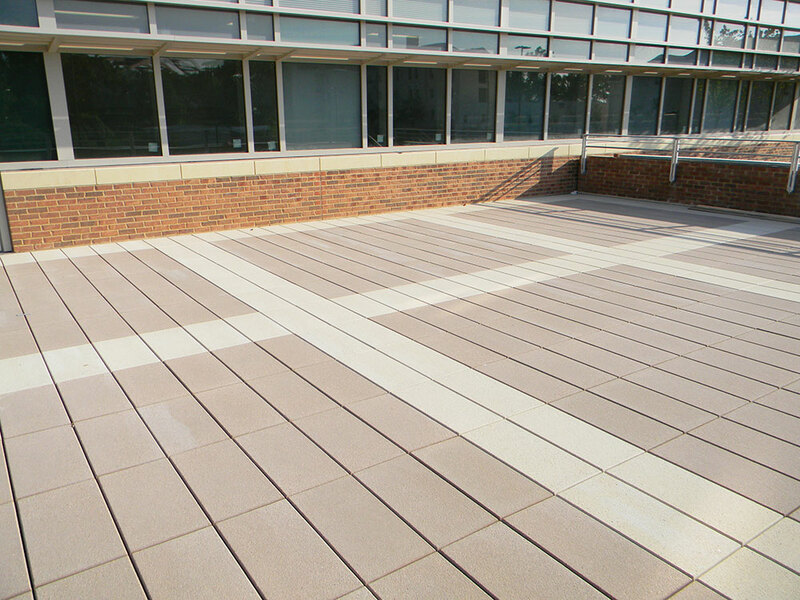 These systems allow for the finish pavement surface elevations of a rooftop, balcony, patio, or plaza over an existing structure to be adjusted to accommodate plantings, roof drainage slopes, swimming pools, water feature drainage, mechanical, or electrical equipment along with numerous other applications. 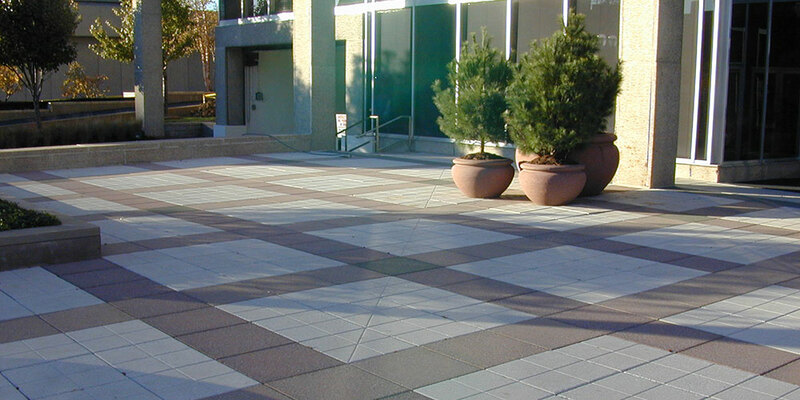 Pedestal Paving Systems are used when underlying substrate is contoured for drainage and cannot utilize the traditional paver system base. The pedestal paver system creates a level, paved surface to walk on while still allowing for rain water to freely drain to roof drains under pavers.